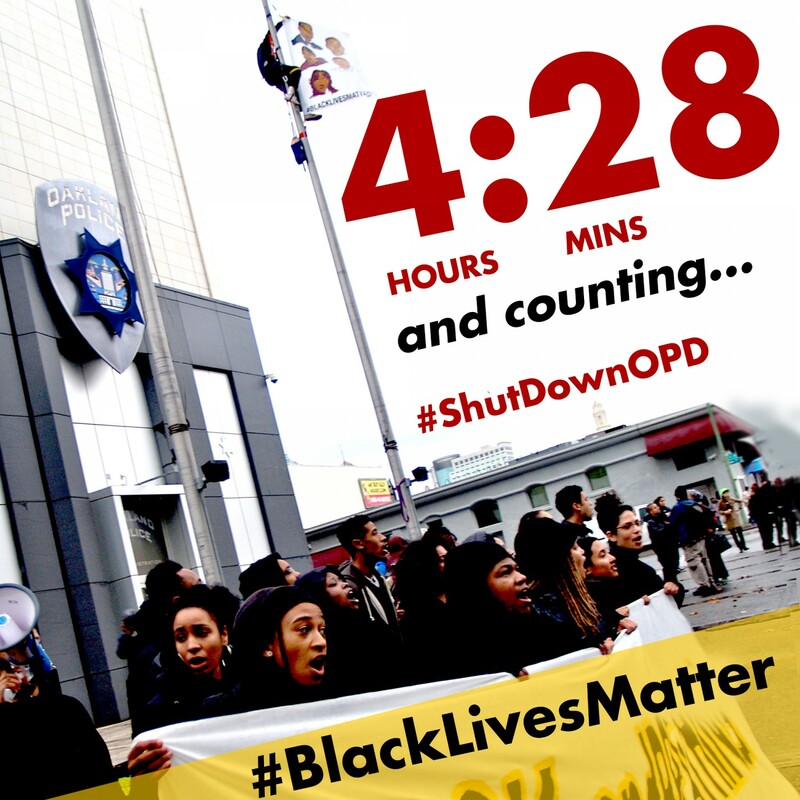 The Black organizers and allies participating in #ShutDownOPD successfully maintained their occupation of the Oakland Police Department headquarters until 11:58am PT, 4 hours and 28 minutes after the start of the blockade. The 4 hours honor the memory of Michael Brown, whose body lay in the streets of Ferguson for more than 4 hours after he was killed by a police officer. The 28 minutes highlight the startling fact that every 28 hours a Black person is killed by police, security or vigilantes in this country. We demand an end to the war on Black people!